Don’t have an underground bat cave? Use impact-resistant roofing to protect your super hero hideout! 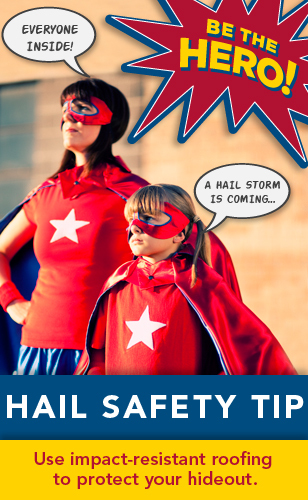 Be sure to visit flash.org for more hail safety tips! This entry was posted in Hail Storms by federalalliance. Bookmark the permalink.